Do you have to deliver ‘virtual’ or ‘remote’ training as part of your role? Or maybe it’s something you know you’ll have to do one day and the thought of it fills you with dread. Last year, that’s exactly how we felt when we were coaxed out of our comfort zone by a client who wanted us to transform a classroom based programme into a virtual programme. I’m pleased to report that we survived our virtual world experience, so in this blog I’m going to share the tips and techniques we picked up and developed along the way. We’d already successfully delivered the two day ‘HR Consulting Skills’ programme for the client – in the UK, the US, Egypt and India. 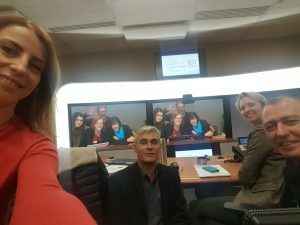 Then the client wanted more participants trained from around the globe, but it had to be done virtually – so our training base would be a video conferencing suite in Slough (not quite as glamorous as the other locations they’d sent us to) and the participants would connect remotely from various global locations. Not only that, the client wanted the experience to be as close to the face to face experience as possible, with the same opportunities for discussion, activities, practise sessions, skill development and feedback. 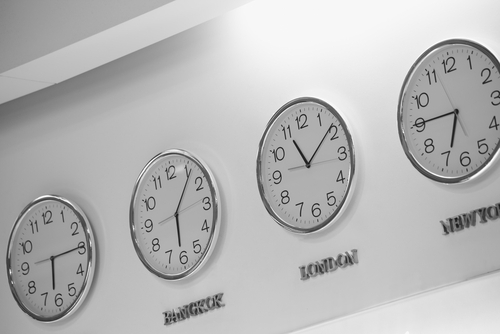 The Duration – we realised quite quickly that trying to run the session over two consecutive days in a virtual environment wasn’t viable – holding people’s attention for long periods is a challenge in a virtual classroom and time differences between locations may also limit the possibilities. So we got to work on dividing up the programme. Consider how your training can be redesigned into manageable chunks, which can then be delivered over several days or weeks. We found that three hours allowed enough time for participants to take on new learning, reflect on it and participate in discussion and activities and at the same time stay engaged throughout. Whatever duration you decide on, add 30 minutes to your timetable to account for technical or logistical issues or any other delays. If you don’t use it, no one will complain about finishing half an hour early! The Design – think about how you run the programme in the classroom environment and challenge yourself to get as close to that as possible in the virtual setting. 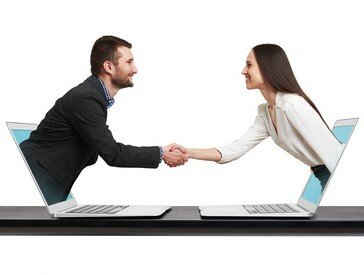 Where you usually ask participants to pair up and discuss a topic, consider how they can do this virtually. You may have some participants who are connecting to the training from the same location – get them to go off line and have the discussion. 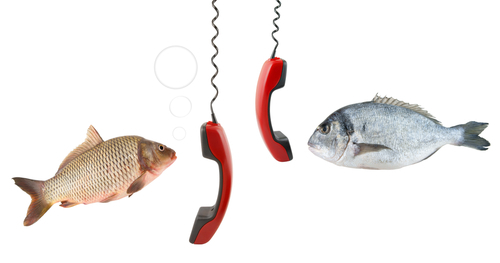 For those who are on their own, identify who they can partner with and get them to connect (through phone or pre-arranged conference calls) to have the discussion. By setting up break out rooms and phone connections, participants can get involved in discussions, role plays, case studies and various other classroom based activities and then be brought back together for a debrief. With a little adjustment any activity can be adapted for the virtual environment. The Materials – if you usually use workbooks, adapt these for the virtual environment – include templates for activities which can be used for individual or group working – these templates will guide participants through the activity (as you won’t be able to walk around and see how everyone is doing). They also provide an interactive element that refocuses the participants away from the screen. Remember to send the workbook out in advance and ask participants to print their own copy. The Invitation – provide participants with Joining Information that will whet their appetite for the training session, don’t limit it to what the session will cover, paint a picture of how the session will run and what they’ll get involved in. Include your profile and photo to make it personal (you could even include a link to a video introduction). The Preparation – test the equipment ahead of time to check you know how to use it and where to get help if you need it on the day. Make sure you have everyone’s mobile number ahead of the training and they have yours – it will be the best way to make contact if there are any technical issues. Find out where each participant will be connecting from and if applicable, their time zone – create a ‘cheat sheet’ of the time zones so you can be specific with timings during the training. Each time we ran a virtual session, we identified new areas of preparation to focus on for subsequent sessions! The Welcome – just because you’re communicating through screens doesn’t mean you can’t give a warm welcome as participants ‘arrive’. You may not be able to shake their hand but you can introduce yourself, check you’ve got their name right and confirm that they can see and hear you OK. Just keep thinking, ‘if I was delivering this face to face, what would I be doing now?’ and aim to replicate that as much as you can. The Instructions – it’s easier for participants to zone out or get distracted when sitting in a location on their own. If this happens when you’re giving instructions for a task, it can be problematic for them once everyone goes offline. As well as verbal instructions, detail the instructions on a slide and include a copy of the instructions in their workbook. Our pilot group in Paris, taking a photo of themselves and us, with our pilot group in Slough! So, if you need to design a virtual training programme, aim to provide the participants with as much interaction and variety as you would give them in a face to face session. Think creatively to adapt the activities to the virtual setting and provide extra clarity to ensure participants engage, interact and have a positive learning experience. Good luck training in the virtual world!